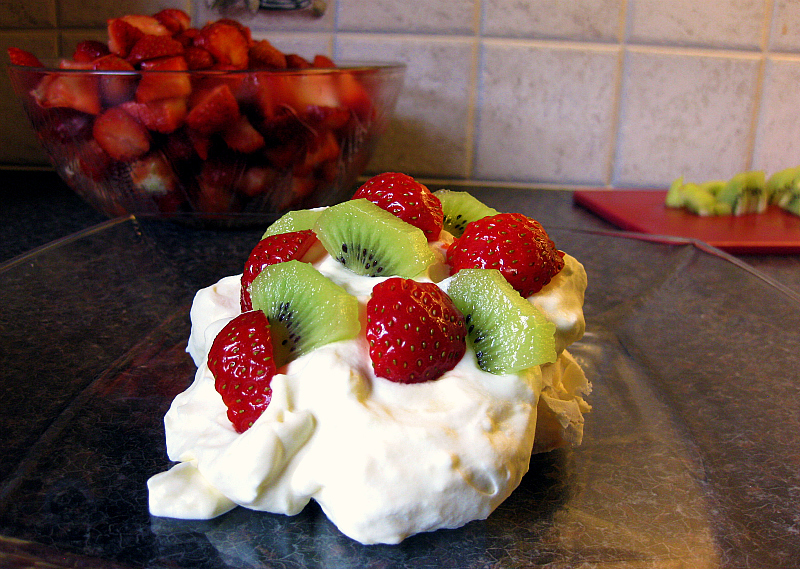 Pavlova is named after the Russian ballet dancer Anna Pavlova, and is often made as one big cake. We prefer the mini size. You start off by making the meringue. Seperate the eggs and whisk the whites until stiff As you whisk, add the white wine vinegar. Then add a mixture of sugar and cornflour. Whisk constantly so the mixture is smooth. Spread the batter, using two tablespoons on a baking tray covered with baking paper. Place the meringues into the oven for about 30 minutes. 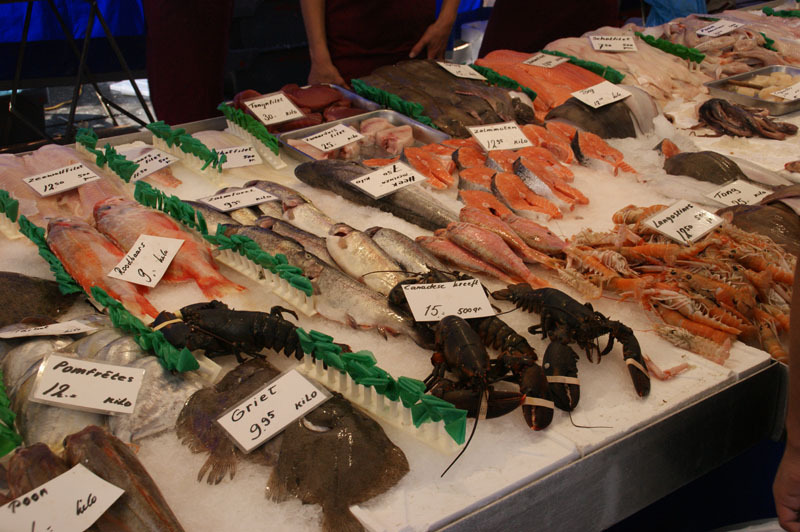 Then take them out and let them cool on wire rack. The filling is made this way. Whip the whipping cream until stiff and gently stir in the vanilla cream. 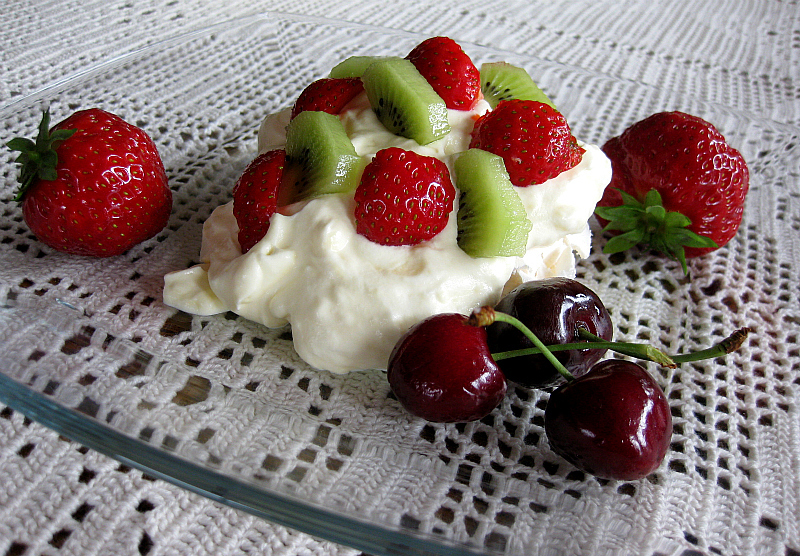 Put the mixture of whipped cream and vanilla cream on each meringue, and garnish with sliced ​​strawberries and sliced ​​kiwi. 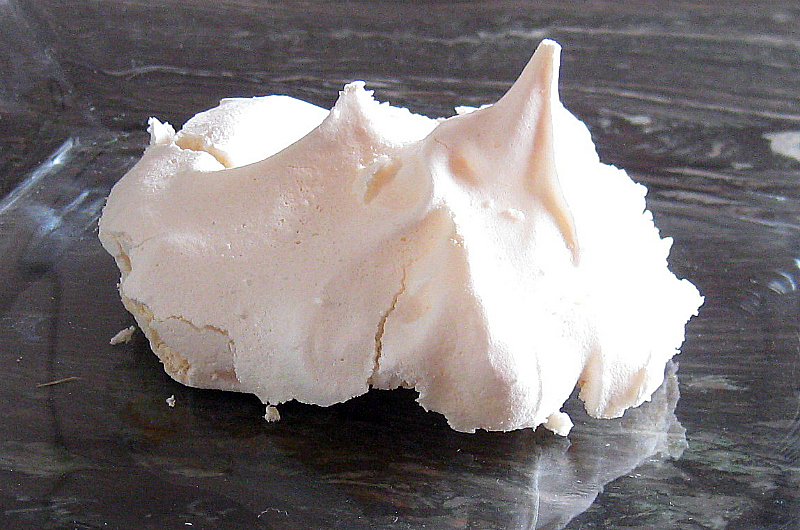 Remember that if stored dry, the meringue can last for several for days.